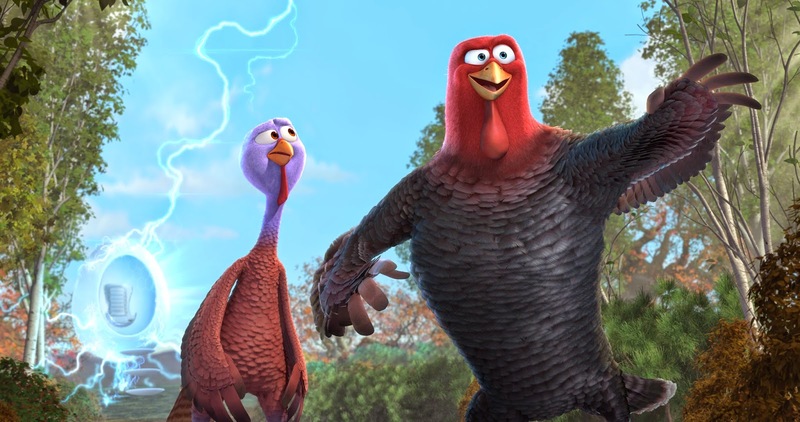 When I first saw the trailers for the movie Free Birds I rolled my eyes and thought this Turkey-based Thanksgiving gimmick of a movie wasn't going to be very good. After watching the movie my impression changed as I found it to be a humorous and fun family friendly adventure movie that is great addition to a Thanksgiving weekend's activities. 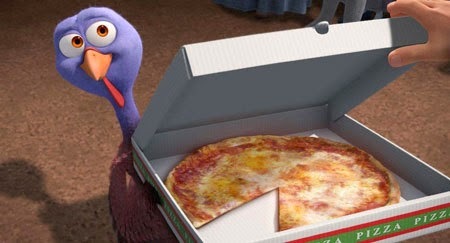 The adventures of two turkeys who use a secret government time machine to travel back to 1621 in an attempt to sway the Pilgrims to enjoy pizza at the first Thanksgiving dinner thus saving generations of turkeys from a fate of being placed on the dinner table as the main course every fourth Thursday in November. This animated movie should join A Charlie Brown Thanksgiving and Planes, Trains & Automobiles as must see viewing during this holiday. 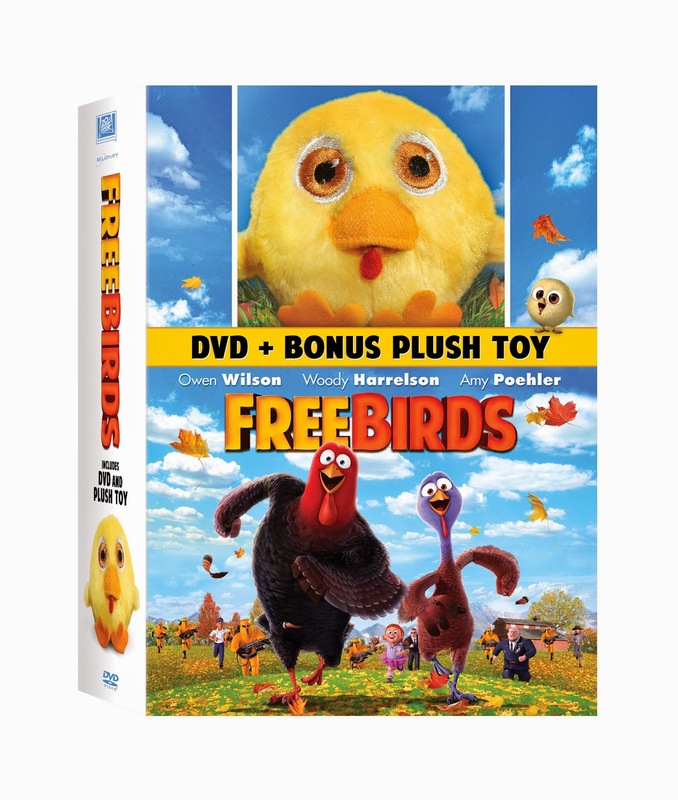 UPDATE: Congratulations to Emerson A from Houston TX who won the Free Birds Prize Pack! All valid entries will be assigned a number and one number will be randomly selected to determine the winner. E-mails will only be used to contact the winner and deleted following the selection of a winner. *Aron Warner, Animated Feature Film, 2001. DISCLAIMER: A Geek Daddy Blog will be responsible for selecting the winner of this contest, but Fox Home Entertainment is responsible for fulfillment and delivery of the prize. By participating in this contest you waive any liability towards A Geek Daddy Blog or its publisher that may arise from your involvement with this promotion. If you win this prize on another blog, you will not be eligible to win again. Winner is subject to eligibility verification. Prize will be delivered by UPS or FedEx so no P.O. Boxes are allowed as mailing addresses. A Geek Daddy Blog did not receive any financial compensation but did receive a review DVD for the blog and the prize that is being awarded to one of our readers for this contest. A Geek Daddy Blog is hosting this contest as a benefit to our readers. The opinions in this post are my own. The funniest Thanksgiving moment was the first time I brought my then fiancée home to meet my family for Thanksgiving. He was dismayed that "everyone was yelling at each other." I have a huge family. We weren't yelling. That's how we communicate. You have to yell to be heard. But the looks on his face were priceless. When I was a kid, my mom thought that a smoked turkey meant it was fully cooked and all she had to do was warm it... Not the case. It wasn't funny at the time, but we laugh about it now. This sounds like such a cute movie! My grandpa accidentally spilled pie on the floor and the dog ate it all! Free Birds is a family movie.Plus, the fact that they are trying to save their race via time machine makes it exciting. Kids and adults will enjoy it.